I am compelled to blog for the last time before I head off in less than 6 hours, on another road trip to Malaysia and spend countdown in a frenzied pool of people. Another year has come and gone. So many events had taken place, so many experiences and memories to jot down. Spending the countdown with this group of friends have become a ritual for the past 6 years. We are that committed to the extent that I would leave Jayden in my in-laws care just to avoid the many other issues - meltdown, being a handful and most important of all, getting lost in the crowd. I feel the guilt every time. :( Sorry boy. Hopefully you can join us next year. 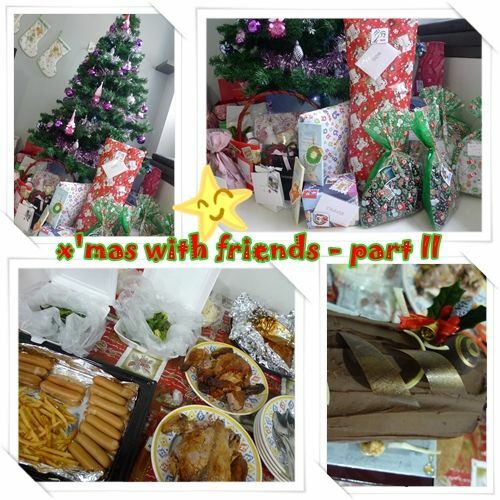 So before I leave the country, let me leave some photos behind of what we had done for X'mas. 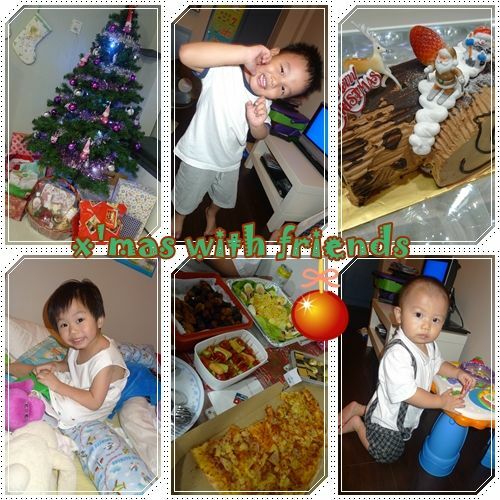 This year X'mas proved to the most exhausting but fulfillng one. Perhaps also because we had 2 house gatherings in a single row. 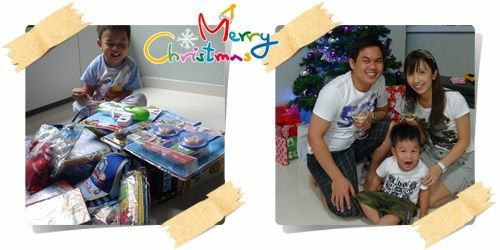 I don't think the son really understood the meaning of Christmas. 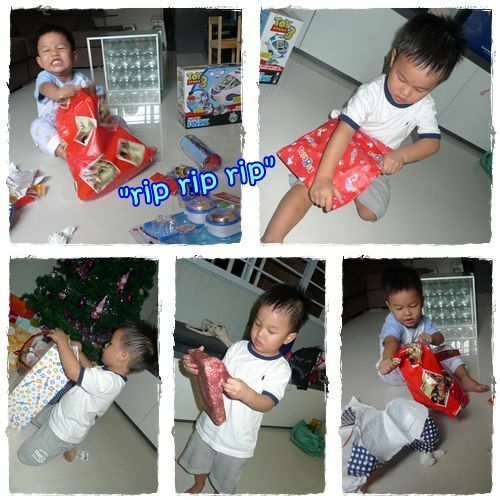 Perhaps it meant ripping open many many delightful presents from people who loved him. 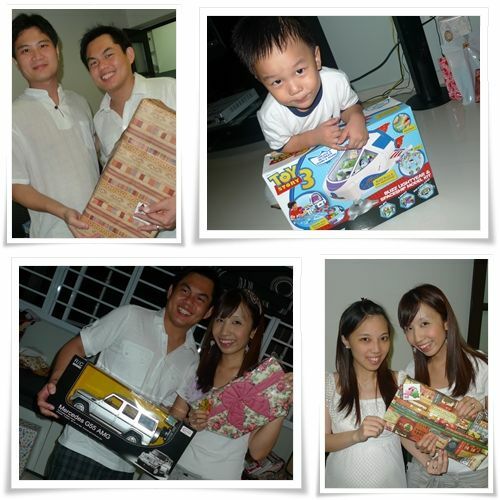 Thank you Aunties and Uncles for the gifts! Merry X'mas and Happy New Year!!! Will write when I'm back!